I only appreciate museums if I am passionate about the subject matter on offer and Melbourne’s Immigration Museum is all that. Immigration is a contentious topic in Australia and a visit to this museum puts things in context. The history of migration to Australia is well presented here, and it stands as a timely reminder to all non-indigenous Australians that we are all boat people. 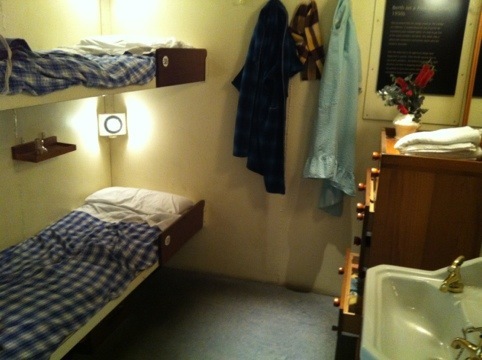 The permanent displays recreate typical immigration experiences such as the post WWII ship cabin below. You can also partake in a virtual immigration interview, you choose the date. There are online stations that document all the stages and origins of immigrants to Australia that make fascinating reading. A specialist library and information service is onsite to assist with research into anything immigration related. The museum hosts regular guest exhibitions and at the time of my visit the harrowing tale of British child migrants was being told through On Their Own: Britain’s Child Migrants. 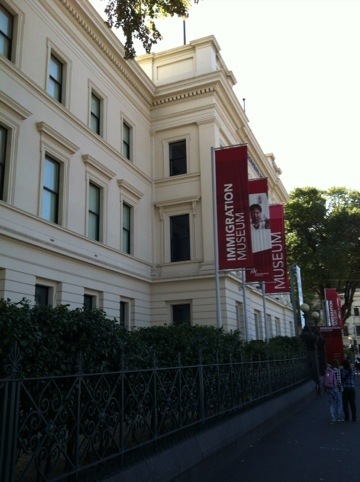 Further information is available at the Immigration Museum website.